How we would carry out your flat roof or roofline installation. We are proud to say that the majority of our new business is on recommendation. A combination of how we carry out our work and the final job itself mean many friends, family and neighbours of our clients consequently become customers themselves. An important part of any service is communications so lets start by informing you of how we go about fulfilling a contract so you know what to expect. Firstly we employ no sales team. We do not use pressured sales methods or spurious discounting schemes to pressure you to purchase our flat roof products. 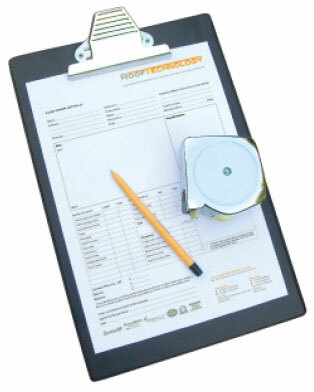 At your request a member of our team will carry out a no obligation visual survey. Our surveyor will inspect your property and explain clearly the options available and a written specification and quotation will be sent to you. There is no pressure to buy and you will have all the information you need to make an informed decision. You will be advised of the time-frame for the works and will be further advised if anything should arise that might affect that time-frame. Our team will put in place all that is necessary to make the work spaces safe and advise you accordingly. At the end of the working day your home will be left as tidy as it practical to do so. Finally you will be provided with the agreed insurance documents and guarantees and left to enjoy the benefits of your new installation. The Which? Trusted Trader icon highlights the best traders out there. It is an endorsement scheme that recognises reputable traders who successfully pass it’s rigorous assessment process. Which? have been testing products and services for over 50 years on behalf of consumers and have earned their trust. FairTrades is one of the largest multi trade associations in the UK and has been vetting it”s professional members since 1983. As a Roof Technology customer you will benefit by knowing you are dealing with a company that upholds the values of the Homeowner’s Charter and benefit from its Insurance Backed Guarantees.